Some of you might remember, that I spent a lot of time backstage at the Berliner Mode Salon during Berlin Fashion Week this summer. I watched the Urban Design Team of Sebastian Professional creating the runway looks and had the chance to interview Maxime Buchi, a tattoo artist from Switzerland. 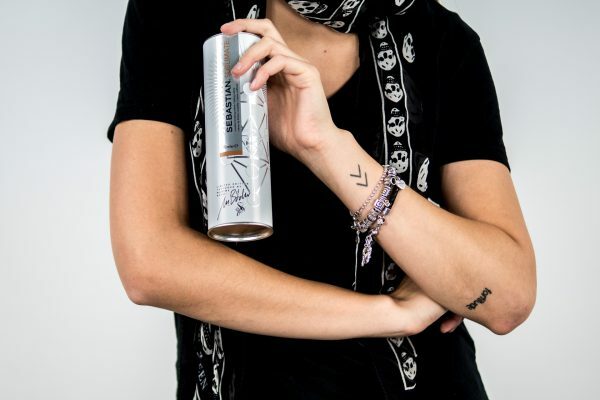 He was in Berlin for the launch of the new Limited Edition he created together with Sebastian Professional and to see how the two designers Vladimir Karaleev and William Fan integrated his tattoo design of the limited edition in their collections. I already told you a little bit about the collaboration between Sebastian Professional and Maxime Büchi during Fashion Week in July. Now it’s finally available, and I wanted to use this as an opportunity to give you some more information about it in cooperation with Sebastian Professionals. 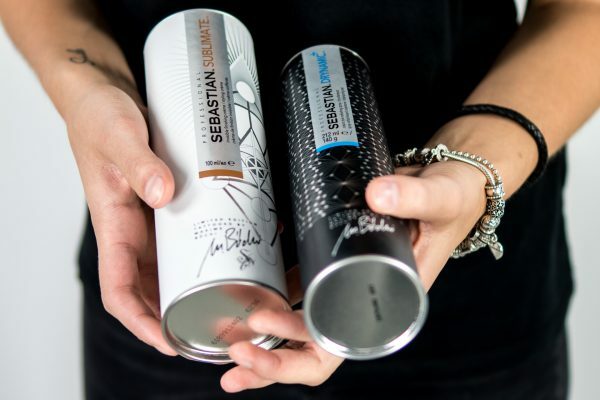 Sebastian Professional is well-known for extravagant, urban as well as edgy hair stylings and therefore it seems natural that they chose a famous tattoo artist to create an exclusive limited edition of their best-liked products as well as one new product. The final result is a six-piece limited edition including the Potion 9, Drynamic+, Craft Clay, Volupt Spray as well as the Shaper Fierce and one new product: the Sublimate. By the way, the products you can see in these pictures are the Drymanic+ and the new Sublimate. 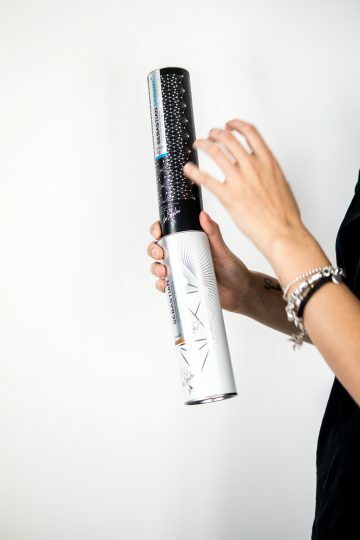 The Drynamic+ is a dry shampoo, and I probably don’t have to explain how to use it 😉 The Sublimate is a finishing creme you put in the lengths of your hair. 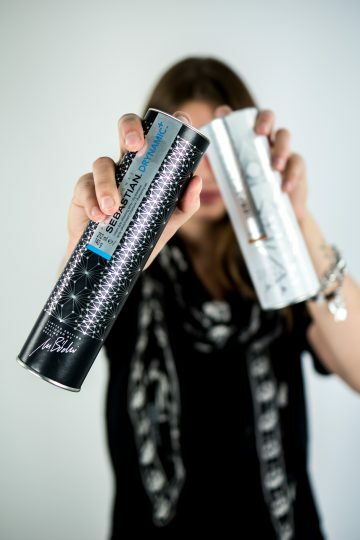 It gives your hair more definition as well as a silky-soft shine.